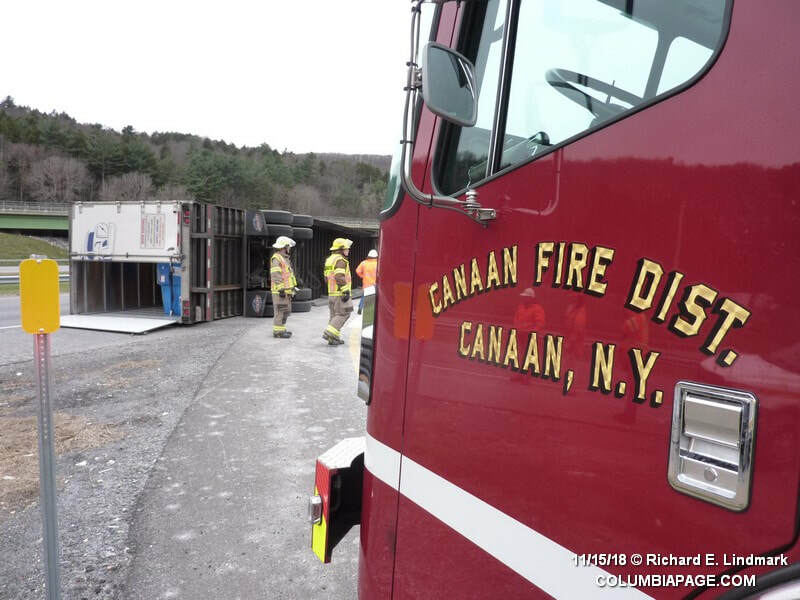 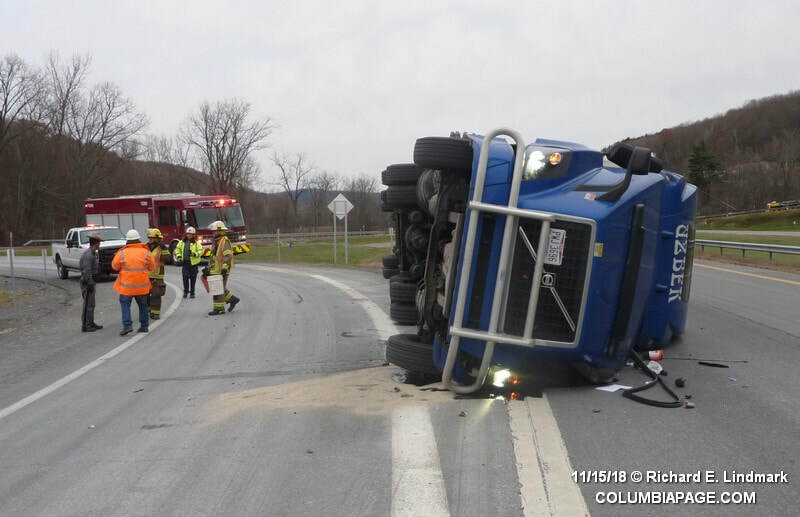 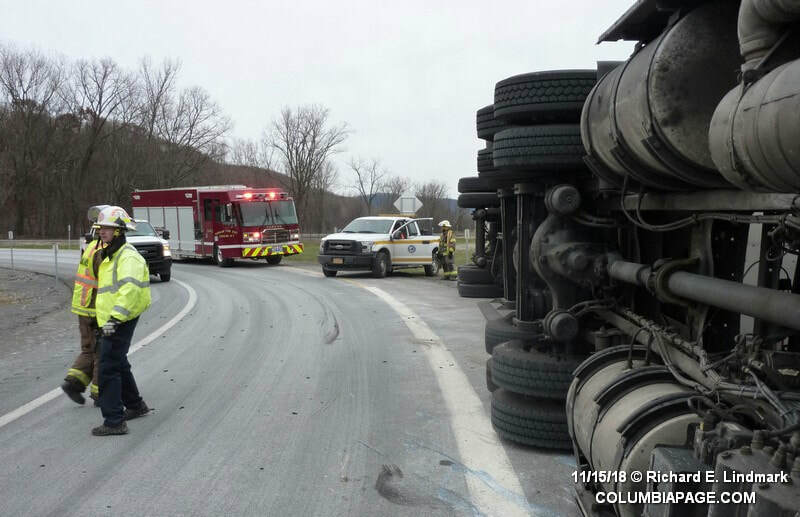 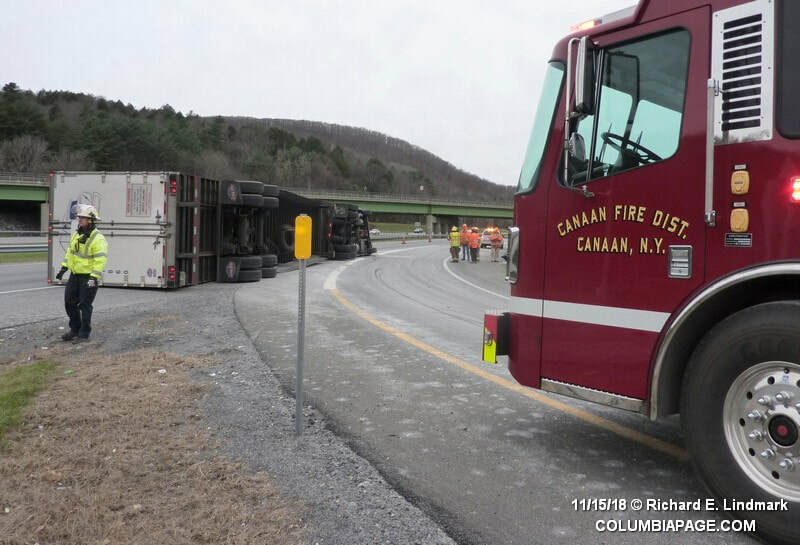 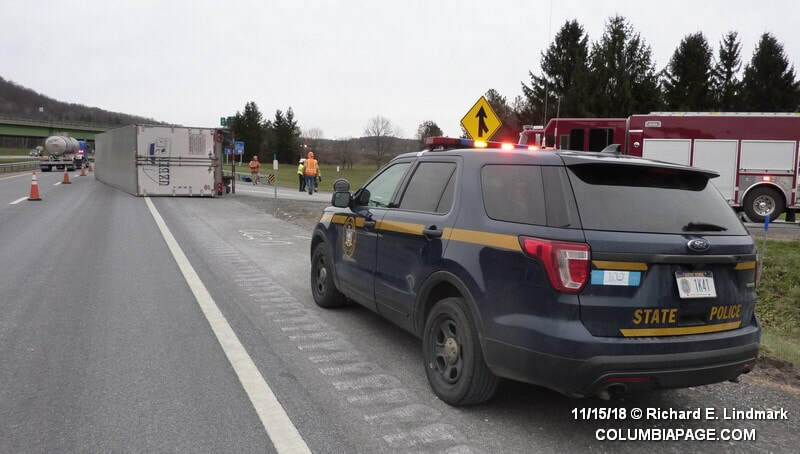 Columbia County 911 dispatched Canaan Firefighters and under automatic mutual aid Red Rock Firefighters and Chatham Rescue at 1:43pm for an accident on the New York State Thruway. The accident was located on the westbound on ramp by milepost 23.4. 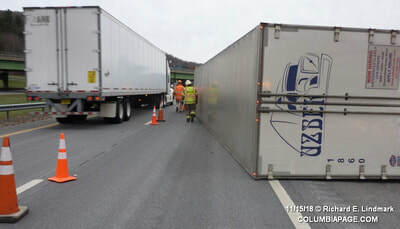 A tractor trailer was entering the Thruway when it went over on the drivers side. 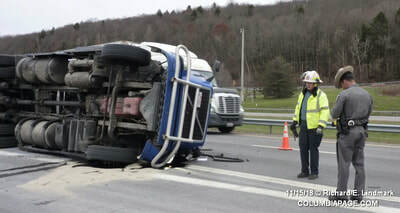 The on ramp and the westbound driving lane of the Thruway were closed during the incident. 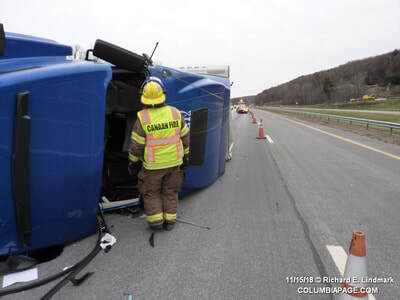 Chatham Rescue transported the driver to Berkshire Medical Center. 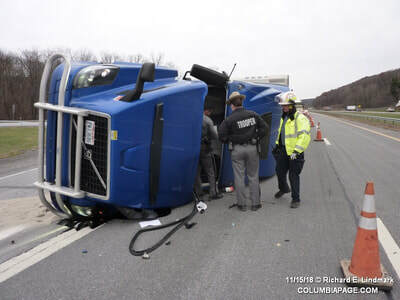 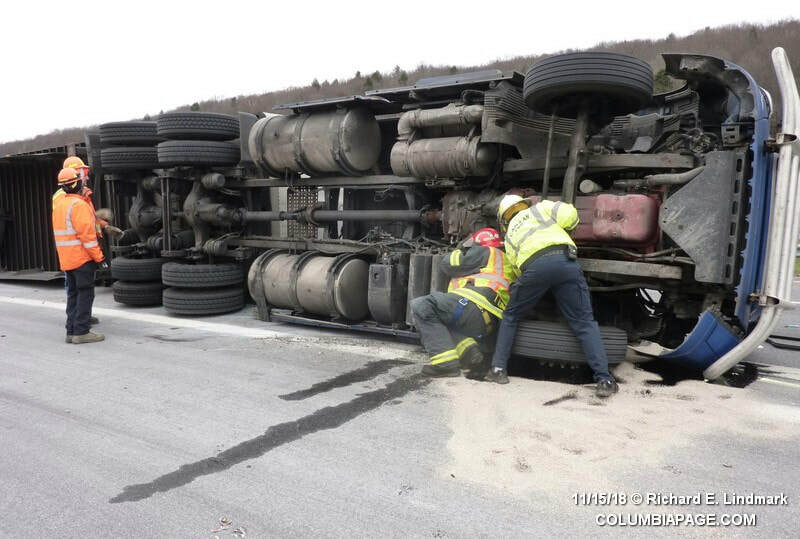 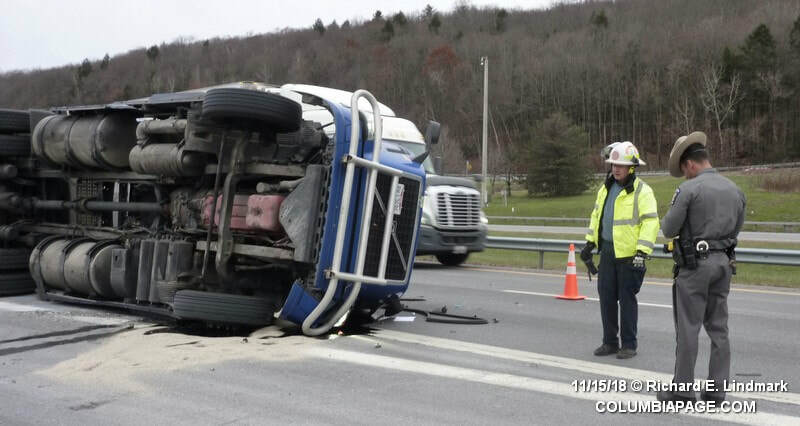 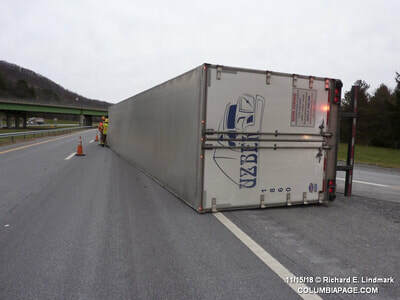 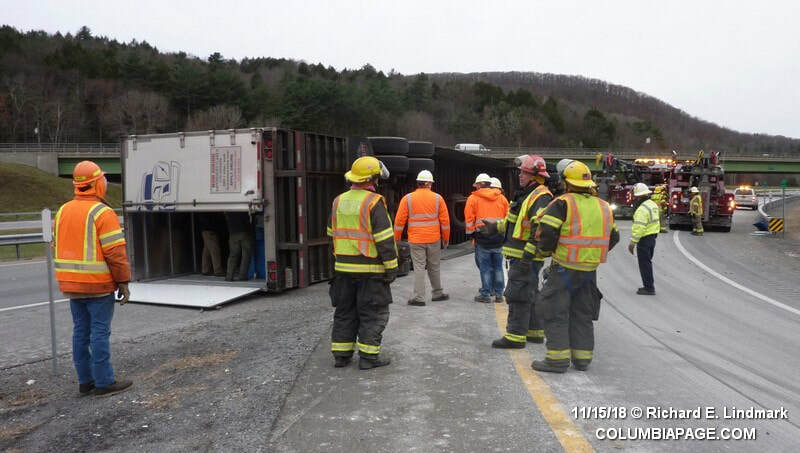 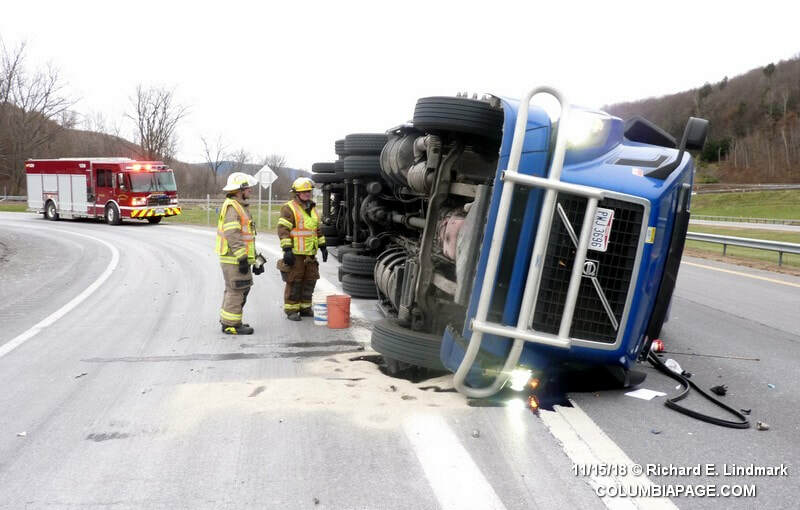 Traffic Safety and Maintenance personnel from the New York State Thruway were on the scene. New York State Police from Troop T investigated. 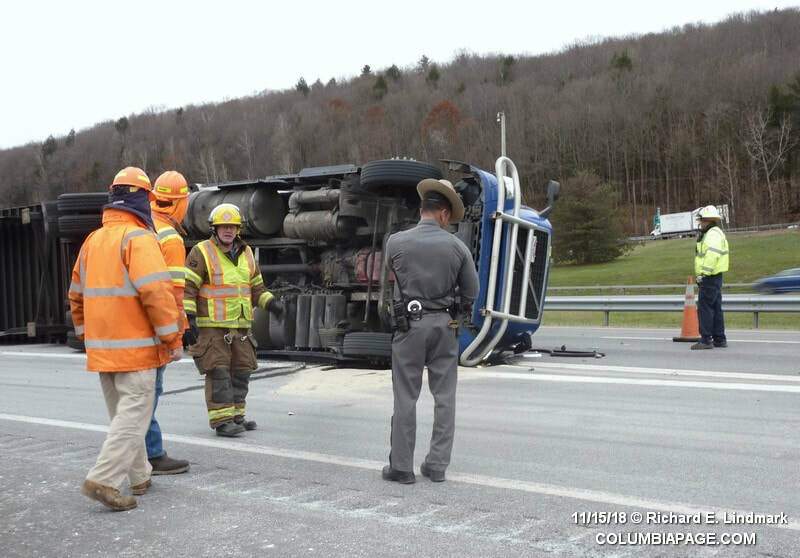 State Police from New Lebanon assisted. Firefighters were back in service at 2:43pm.